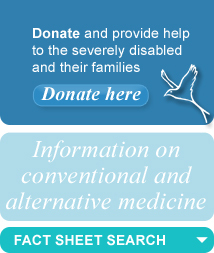 The Henry Spink Foundation Portability Campaign: Michael and Henrietta Spink are campaigners for the disabled. They live in Cornwall with their two severely disabled sons, Freddie and Henry. They have been campaigning for the portability of domiciliary care packages for over 3 years. Their campaigning has encompassed Ministers and politicians from all sides of the political spectrum, as well as key Local Government bodies including the LGA and ADASS, key reviews and consultations such as the Law Commission and the Commission for the Funding of Social Care, other charities and organisations who work in fields affected by these issues. There has been overwhelming support for the principle of portability (please see charity quotes below). Personal Care at Home Act 2010: the principle of portability was included and approved by Parliament in this legislation passed in the last days of the Labour Government early last year. The 2010 Coalition Government have chosen not to commence this Act due to concerns about other principles included within the bill regarding the provision of free care for the most needy older residents irrespective of their wealth. The Law Commission Report: “Adult Social Care” May 2011 - The Law Commission is the statutory independent body created by the Law Commissions Act 1965 to keep the law under review and to recommend reform where it is needed. It undertook a scoping paper on adult social care legislation in 2008 and carried out a full consultation in 2010 reporting to the Government in May 2011. It recommended that changes to statues should enable portability of care and support. The Government are using the Law Commission and Dilnot review as the basis for consideration in the forthcoming Department of Health, Adult Social Care White Paper now expected in Spring 2012, to be followed by legislation in the second parliamentary term. The Sayce Report: “Getting in, staying in and getting on: Disability employment support fit for the future” June 2011 - an independent review commissioned by Government and led by Liz Sayce (Chief Executive of RADAR, and a Commissioner at the UK Commission for Employment and Skills) identifies portability of care packages as one of 8 key barriers and opportunities to facilitate better access to real jobs. Social Care Portability Bill [HL] 2010-11, Baroness Campbell of Surbiton, Crossbencher, has introduced a Private Members Bill (PMB) into the House of Lords. PMB’s are Public Bills introduced by MPs or Lords who are not government ministers. As with other Public Bills their purpose is to change the law as it applies to the general population. A minority of Private Members' Bills become law but, by creating publicity around an issue, they may affect legislation indirectly. There is currently no date for the second reading of this bill and it will fall at the end of the parliamentary session if it has not progressed. NAAPS UK, Alex Fox, CEO: “NAAPS is a national network for individuals, families and small local groups who ensure that disabled and older people can live the lives they want in the families and communities they choose. The current system can make this impossible for disabled people who want to move to a different council area. Freedom of movement is a basic human right. We are pleased the Dilnot Commission report supports this position and we are proud to support the Spink Foundation in calling on the government to put a simple solution in place to fix this perennial problem." The National Centre for Independent Living (NCIL), Sue Bott, Director: “The NCIL supports the notion that disabled people, older people, and carers should be able move from one part of the country to another and retain their package of support. NCIL has always been concerned with the situation that if a user of social care service moves from one area to another they lose their package of support and have to start again with the new local authority which takes time and leaves the person concerned with out support, sometimes for months.Unlike other citizens of the European Union, social care service users do not enjoy freedom of movement. assessments and bureaucracy again simply because they have moved into a different council area. Not only would portability reduce stress and confusion for families but would cut down unnecessary bureaucracy in local councils." AGE UK: “Portability of care packages is when a care package is moved from one LA to another if for example someone moves house. At the moment there is no such portability and someone would have to be reassessed by their new LA, and there are no guarantees that they would be eligible for care in their new LA. This means that people get concerned about moving house for instance to be nearer to relatives because they don’t want to disrupt their care arrangements which can be extremely upsetting.